His colleague Ben Feringa was recently awarded the Nobel Prize for Chemistry for his work on artificial molecular motors. Natural molecular machines, enzymes, are what University of Groningen professor Marco Fraaije is looking to improve, to make them suitable for use in industry. He has already improved a number of such enzymes in his work on the European research project ROBOX. A new - award winning - film explains the project. Fraaije’s field is enzyme engineering, the targeted adjustment of enzymes. He studies the structure of these generally large proteins and seeks ways to improve them. ‘The ROBOX project is about making enzymes suitable for use in industrial projects’, he explains. Fraaije commissioned a short film to illustrate what the ROBOX project is about. Alongside an explanation and images from the lab, we see an artist weld new parts to a complex structure. Biologists would soon recognize this as a complex protein. The model now stands in the corridor outside Fraaije’s office. ‘It’s not an exact representation, but it gives a good impression’, he explains. In the ROBOX project, which is funded by the European Horizon2020 research programme, 19 partners (universities and industry) are working together to develop robust enzymes that can be used for oxidative reactions in industry. At present, high temperatures and heavy metals are required for this type of reaction. Enzymes would make the reactions greener and more specific. The classical approach is to mutate the gene of a promising enzyme in more or less random places and then to screen many thousands of mutants in the lab. Fraaije makes an initial selection on the computer by calculating the effect of mutations. ‘We then choose about a hundred promising mutants to make and test in the lab.’ This dramatically speeds up the hunt for new, robust mutants. 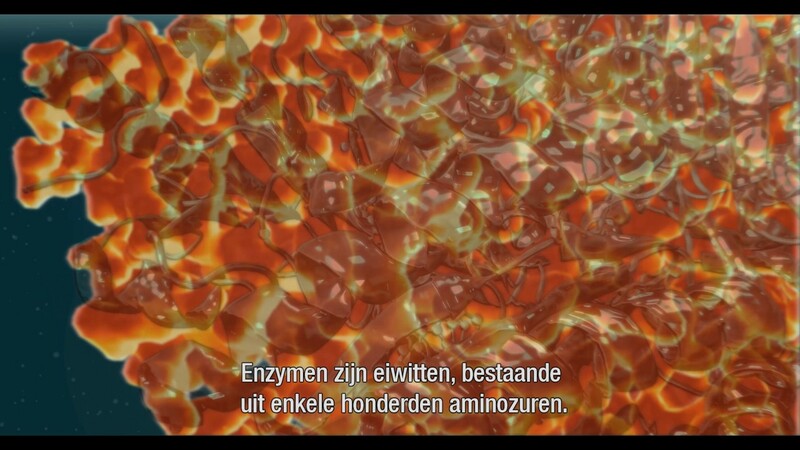 During the IFFR film festival in Groningen, the video on Enzyme Engineering made by Sensu about the research of Prof. Marco Fraaije won the prize for Best Groningen Film in the category Best Commissioned Film. The ROBOX project (Expanding the Industrial use of Robust Oxidative Biocatalysts for the Conversion and Production of Alcohols) started almost two years ago, with a budget of about EUR 12 million. Marco Fraaije leads the Enzyme Engineering and Identification of Oxidative Enzymes ‘work package’, one of seven. He is also involved in the Process benchmarking & evaluation and Project Management work packages. The Groningen research is worth about EUR one million from the total budget. The general coordination is in the hands of chemistry business DSM. Last modified: 21 December 2018 11.24 a.m.